Words can’t possibly describe the work that Tony has done for the Phoenix Fire Department, and the citizens of Arizona. 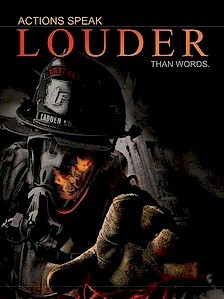 He has seen his share of fires and worked through the same dangerous calls that many firefighters have. 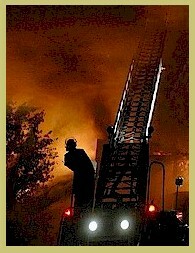 Tony actually started his career as a Volunteer for the Cottonwood Fire Department back in 1982. 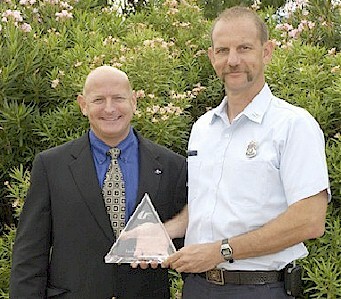 He obtained his EMT certification and also volunteered for the Verde Valley Ambulance Company. Tony was only nineteen when he got his first fulltime firefighter position with the Verde Rural Fire District, where he worked for the next ten years. During this time he rose to the rank of Captain and was among the first group from this department to receive Paramedic certification. Tony went on to become the department's training officer and taught Firefighter I & II classes at the local Yavapi College. 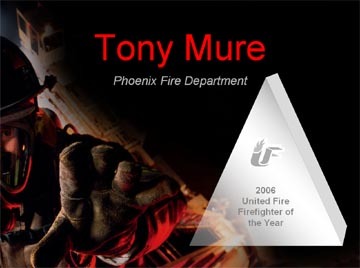 It was in 1994 when Tony began his career with the Phoenix Fire Department. He is now in his thirteenth year and is a Captain/Paramedic. 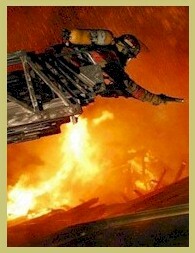 As a member of the Honor Guard, Technical Rescue Team, and USAR Team, Tony is well-respected for his accomplishments. What makes him our winner this year is his COMPASSION. It is not that we are not proud of what he does on the job, but we are especially impressed by what he does when he is not on duty! I believe it is this compassion that led him to become a volunteer at the Foundation for Burns & Trauma over seven years ago. Maintaining his true character, Tony became involved with Camp Courage and immediately identified several safety issues and then found himself in the newly created position of safety officer. Tony’s contributions did not stop there. 2006 was Tony’s second year as the volunteer camp director, a task requiring hundreds of hours of planning, chairing a committee, implementing programs, and providing leadership to volunteers as well as campers, all with the focus and determination of a champion. Volunteering is tireless, ensuring that the burn survivors and their families' lives are enriched. One nominee said that he always asks, “What’s going to be best for the kids?”, and he knows that’s really what this camp is all about. Tony’s ambition for educating the Arizona community is also remarkable. He uses his degree in Fire Science and his Masters Degree in Education & Leadership to prepare for speaking engagements at media appearances, other fire departments, and civic group events. This helps to educate the community on burn prevention and raises funds to support the camp. A one-week camp for one child costs $1,000! Tony uses his Bachelors Degree in Management to help find ways to creatively raise the many thousands of dollars needed each year. With Firefighter Mure’s help, the Foundation stays involved with several events throughout the year to take care of their needs; a beer booth at the Cardinal games, golf tournaments, a corn maze haunted house, and the very creative Festival of Trees black tie event. This is where elaborately decorated trees are auctioned off for as little as two hundred or as much as six thousand dollars. Tony says, for six thousand dollars he will both deliver and set up the tree the very next day, ensuring it will be ready for Christmas! Tony Mure epitomizes the character and charm of Arizona firefighters, and demonstrates true leadership, which we are very proud of. He is the type of person who has so much passion for his profession. He takes it to a whole new level. He is a firefighter that goes beyond his everyday job of saving victims, and takes action to help burn victims during the initial emergency, in the hospital, throughout the recovery process, and beyond. His actions do speak louder than any words!